Ballistic Missile Defense System General overview of the entire Ballistic Missile Defense System. Discusses the three phases of a missile’s trajectory path and describes the development plan for the system. 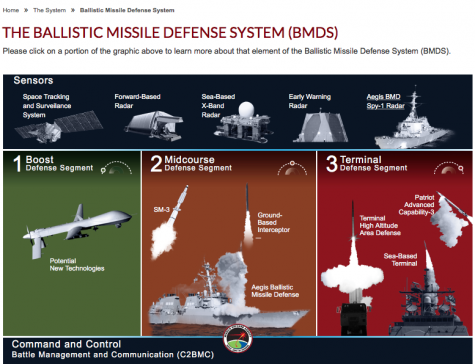 Ballistic Missile Defense Review The Ballistic Missile Defense Review evaluates the threats posed by ballistic missiles and develops a missile defense posture to address current and future challenges. Ballistic Missile Defense Intercept Flight Test Record The Missile Defense Agency conducts regular intercept flight tests. These tests provide data to anchor models and simulations that can then be used to verify performance and confirm the technological progress of the Ballistic Missile Defense System. Environmental Impact Statement for the CONUS Interceptor Site Information about the Environmental Impact Statement being prepared to evaluate the potential environmental impacts that could result from the future deployment of a Continental Interceptor Site. WASHINGTON — Thursday the Trump administration will roll out a new strategy space program based a missile defense system. The intent is to protect the United States against existing threats from North Korea and Iran and counter advanced weapon systems being developed by Russia and China. Associated Press reports that details about the administration’s Missile Defense Review — the first compiled since 2010 — are expected to be released during President Donald Trump’s visit to the Pentagon with top members of his administration. Recognizing the potential concerns surrounding any perceived weaponization of space, the strategy pushes for studies. No testing is mandated, and no final decisions have been made. 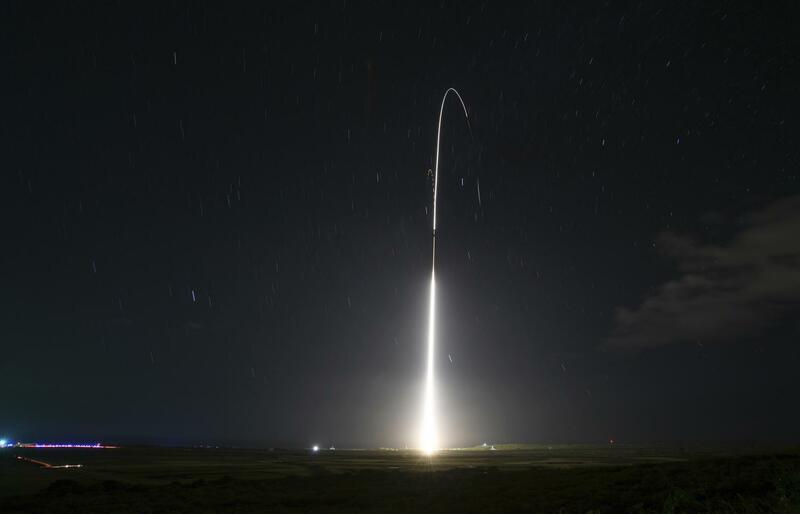 Specifically, the U.S. is looking at putting a layer of sensors in space to more quickly detect enemy missiles when they are launched, according to a senior administration official, who briefed reporters Wednesday. The U.S. sees space as a critical area for advanced, next-generation capabilities to stay ahead of the threats, said the official, who spoke on condition of anonymity to disclose details of the review before it was released. Congress, which ordered this review, already has directed the Pentagon to push harder on this “boost-phase” approach, but officials want to study the feasibility of the idea and explore ways it could be done.